The five star Thavorn Hotel and Resort Group invited me to review the efficiency of their current customer services and the user experience of those services. My role was to create a report based on user expectations of the services and reality of current services and then suggest possible amendments, improvements or new services. In order to test their customer services thoroughly, I acted as a guest within the hotel, this involved creating stress tests, in which I had to act as an angry and unsatisfied customer to see how staff respond to the needs of difficult guests. From my view point as a “guest”, as well as through speaking to other guests and collecting their views and opinions on the hotel, I was able to record conclusive user research. With this research I was then able to suggest possible improvements to current hotel services and speculate upon new potential services they could offer. These improvements were relayed through user journeys in order to compare the differences between original and new services. The project also included a re-branding process; updating the current logo, desktop website and mobile website or app, in order to project a stronger sense of luxury. 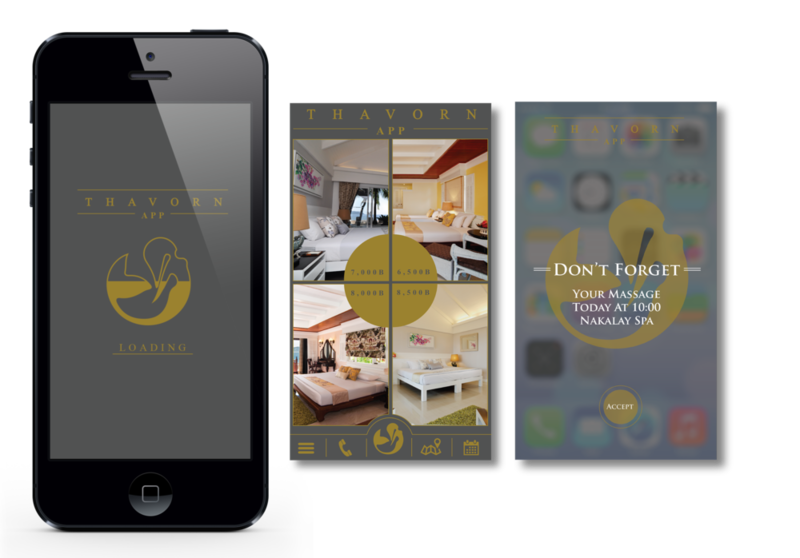 Through doing this, I could also improve the user experiences of these online platforms which currently feel dated and provide poor user experiences, the original website can be found here - http://www.thavornbeachvillage.com.